+Promotional Vacation Package savings is based on a 4-night minimum length of stay at a participating hotel in a standard room with 3-Park 2-Day Park-to-Park Ticket with 2 Days Free per person based on two (2) adults and two (2) children (ages 3-9). Promotional savings is based on travel dates of the Winter Savings package from Universal Parks & Resorts Vacations™ and advance discount of the online Promotional 3-Park 2-Day Park-to-Park Ticket with 2 Days free ticket compared to the advance price of the online 3-Park 4-Day Park-to-Park ticket for two (2) adults and two (2) Children (ages 3-9). Savings valid for bookings 9/14/18– 11/14/18 and travel 11/1/18 - 12/25/18, 1/1/19 – 1/31/19. 4 night minimum required. Reservation must be made 72 hours in advance. Void where prohibited. One offer per package. Cannot be combined with any other offers, promotions, discounts or prior purchases. Additional restrictions may apply and subject to change without notice. Travel must be completed by 1/31/19 to receive full savings. 1The 3-Park 2-Day Park-to-Park Ticket with 2 Days Free entitles one (1) guest admission to Universal Studios Florida™, Universal’s Islands of Adventure™ AND Universal’s Volcano Bay™ on the same day. Ticket is valid for any four (4) calendar days during a seven (7) consecutive calendar day period which includes the first day any portion of the ticket is used. This ticket also includes seven (7) consecutive calendar days of admission to select live entertainment venues of Universal CityWalk™ which commences and includes the first day any portion of the ticket is used. Ticket excludes admission to separately ticketed events at either of the Universal theme parks or within any of the CityWalk venues. Some CityWalk venues require ages 21 or older for admission. Valid photo ID required. Unless otherwise stated, does not include admission to Universal Cinemark, the Blue Man Group show, or Hollywood Drive-In Golf™. Subject to availability. Parking is not included and there are no discounts on food or merchandise. Additional restrictions may apply and benefits are subject to change without notice. *Rate is per person, per night, tax inclusive and based on two (2) adults and two (2) children (ages 3-9) on a 4-Night stay at the Rosen Inn International, Standard Room. Subject to availability, room type, hotel, and travel dates selected. Rate valid for bookings now – 11/14/18 and travel Sunday - Thursday; 11/1/18-12/20/18, 1/1/19 – 1/31/19. 4 night minimum required. Reservation must be made 72 hours in advance. Additional hotels, rates and travel dates available. ***Rate is per person, per night, tax inclusive and based on two (2) adults and two (2) children (ages 3-9) on a 4-Night stay at Universal’s Aventura Hotel, Standard Room. Subject to availability, room type, hotel, and travel dates selected. Rate valid for bookings now – 11/14/18 and travel Sunday - Thursday; 11/4/18-11/20/18, 11/25/18-12/20/18, 1/6/19 – 1/17/19, 1/21/19 – 1/31/19. Number of rooms available on this promotion is limited. Rates are higher on Friday & Saturday nights. Additional on-site hotels, rates and travel dates available. 4 night minimum required. Reservations must be made 24 hours in advance. ◊Rate is per person, per night, tax inclusive and based on two (2) adults and two (2) children (ages 3-9) on a 4-Night stay Loews Sapphire Falls Resort, Standard Room. Subject to availability, room type, hotel, and travel dates selected. Rate valid for bookings now – 11/14/18 and travel Sunday - Thursday; 11/4/18-11/20/18, 11/25/18-12/20/18, 1/6/19 – 1/17/19, 1/21/19 – 1/31/19. Number of rooms available on this promotion is limited. Rates are higher on Friday & Saturday nights. Additional on-site hotels, rates and travel dates available. 4 night minimum required. Reservations must be made 24 hours in advance. ◊◊Rate is per person, per night, tax inclusive and based on two (2) adults and two (2) children (ages 3-9) on a 4-Night stay Loews Royal Pacific Resort, Standard Room. Subject to availability, room type, hotel, and travel dates selected. Rate valid for bookings now – 11/14/18 and travel Sunday - Thursday; 11/4/18-11/20/18, 11/25/18-12/20/18, 1/6/19 – 1/17/19, 1/21/19 – 1/31/19. Number of rooms available on this promotion is limited. Rates are higher on Friday & Saturday nights. Additional on-site hotels, rates and travel dates available. 4 night minimum required. Reservations must be made 24 hours in advance. 4Requires separate theme park admission. Valid at Universal Studios Florida and Universal’s Islands of Adventure. Not valid at Pteranodon Flyers™ at Islands of Adventure. Excludes separately ticketed events. Park-to-Park admission required to board the Hogwarts™ Express. Beneﬁt not valid for guests staying at Universal’s Cabana Bay Beach Resort, Loews Sapphire Falls Resort, and Universal’s Aventura Hotel or for Universal’s Volcano Bay. Valid for the number of guests staying in the room for the length of hotel stay. Available during normal theme park operating hours only. Additional restrictions may apply and beneﬁts are subject to change without notice. ^Rate is per person, per night, tax inclusive and based on two (2) adults and two (2) children (ages 3-9) on a 4-Night stay at the Hard Rock Hotel®, Garden View Room. Subject to availability, room type, hotel, and travel dates selected. Rate valid for bookings now – 11/14/18 and travel Sunday - Thursday; 11/4/18-11/20/18, 11/25/18-12/20/18, 1/6/19 – 1/17/19, 1/21/19 – 1/31/19. Number of rooms available on this promotion is limited. Rates are higher on Friday & Saturday nights. Additional on-site hotels, rates and travel dates available. 4 night minimum required. Reservations must be made 24 hours in advance. ^^Rate is per person, per night, tax inclusive and based on two (2) adults and two (2) children (ages 3-9) on a 4-Night stay at Loews Portofino Bay Hotel, Garden View Room. Subject to availability, room type, hotel, and travel dates selected. Rate valid for bookings now – 11/14/18 and travel Sunday - Thursday; 11/4/18-11/20/18, 11/25/18-12/20/18, 1/6/19 – 1/17/19, 1/21/19 – 1/31/19. Number of rooms available on this promotion is limited. Rates are higher on Friday & Saturday nights. Additional on-site hotels, rates and travel dates available. 4 night minimum required. Reservations must be made 24 hours in advance. Price does not include airfare. For airfare pricing‡, select Air + Hotel + Tickets in the booking tool. Term and Conditions | Get a No-Obligation Quote!! ^The 3-Park 3-Day Base Florida Resident Ticket entitles one (1) guest admission to ONE (1) Universal Orlando Resort™ theme park per day: Universal Studios Florida™ ORUniversal’s Islands of Adventure™ OR Universal’s Volcano Bay™. Ticket is valid for any three (3) calendar days during a one hundred eighty (180) consecutive calendar day period which includes the first day any portion of the ticket is used. This ticket also includes three (3) days of admission to select live entertainment venues of Universal CityWalk™ commencing and including the first day any portion of the ticket is used within the one hundred eighty (180) consecutive calendar day period. Blockout dates apply and are counted within the one hundred eighty (180) consecutive calendar day period. Guest must present proof of Florida residency at time of purchase and ticket pick-up. Unused days shall be forfeited. Ticket excludes admission to separately ticketed events at either of the Universal theme parks or within any of the CityWalk venues. Some CityWalk venues require ages 21 or older for admission . Valid photo ID required. Does not include admission to AMC® Universal Cineplex 20 with IMAX®, the Blue Man Group show, or Hollywood Drive-In Golf™. Subject to availability. Unless otherwise stated, parking is not included and there are no discounts on food or merchandise. Additional restrictions may apply and benefits are subject to change without notice. 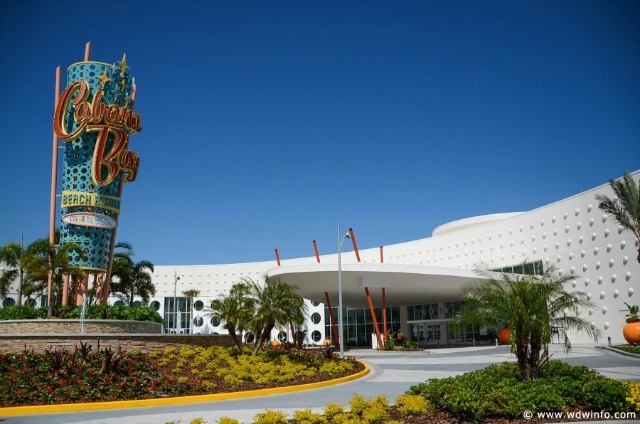 *Rate is per adult, per night, tax inclusive and based on double adult occupancy for 3-night stay at Universal’s Cabana Bay Beach Resort, Standard Room, Florida Resident Rate. Subject to availability, room type, hotel, and travel dates selected. Rate valid for bookings now – 5/31/18 and travel Sunday - Thursday; 2/1/18 - 2/15/18, 2/25/18 - 3/8/18, 4/8/18 - 5/24/18, 5/28/18 - 5/31/18. Number of rooms available on this promotion is limited. Rates are higher on Friday & Saturday nights. Additional on-site hotels, rates and travel dates available. Must present Florida Driver’s License at check-in. Reservations must be made 24 hours in advance. ◊◊◊Rate is per adult, per night, tax inclusive and based on double adult occupancy for a 3-night stay at the Loews Sapphire Falls Resort, Standard Room, Florida Resident Rate. Subject to availability, room type, hotel, and travel dates selected. Rate valid for bookings now – 5/31/18 and travel Sunday - Thursday; 2/1/18 - 2/15/18, 2/25/18 - 3/8/18, 4/8/18 - 5/24/18, 5/28/18 - 5/31/18. Number of rooms available on this promotion is limited. Rates are higher on Friday & Saturday nights. Additional onsite hotels, rates and travel dates available. Must present Florida Driver’s License at check-in. Reservations must be made 24 hours in advance. **Rate is per adult, per night, tax inclusive and based on double adult occupancy for a 3-night stay at the Loews Royal Pacific Resort, Standard Room, Florida Resident Rate. Subject to availability, room type, hotel, and travel dates selected. Rate valid for bookings now – 5/31/18 and travel Sunday - Thursday; 2/1/18 - 2/15/18, 2/25/18 - 3/8/18, 4/8/18 - 5/24/18, 5/28/18 - 5/31/18. Number of rooms available on this promotion is limited. Rates are higher on Friday & Saturday nights. Additional on-site hotels, rates and travel dates available. Must present Florida Driver’s License at check-in. Reservations must be made 24 hours in advance. ***Rate is per adult, per night, tax inclusive and based on double adult occupancy for a 3-night stay at the Hard Rock Hotel®, Standard Room, Florida Resident Rate. Subject to availability, room type, hotel, and travel dates selected. Rate valid for bookings now – 5/31/18 and travel Sunday - Thursday; 2/1/18 - 2/15/18, 2/25/18 - 3/8/18, 4/8/18 - 5/24/18, 5/28/18 - 5/31/18. Numbers of rooms available on this promotion are limited. Rates are higher on Friday & Saturday nights. Additional on-site hotels, rates and travel dates available. Must present Florida Driver’s License at check-in. Reservations must be made 24 hours in advance. ****Rate is per adult, per night, tax inclusive and based on double adult occupancy for a 3-night stay at Loews Portofino Bay Hotel, Garden View Room, Florida Resident Rate. Subject to availability, room type, hotel, and travel dates selected. Rate valid for bookings now – 5/31/18 and travel Sunday - Thursday; 2/1/18 - 2/15/18, 2/25/18 - 3/8/18, 4/8/18 - 5/24/18, 5/28/18 - 5/31/18. Number of rooms available on this promotion is limited. Rates are higher on Friday & Saturday nights. Additional on-site hotels, rates and travel dates available. Reservations must be made 24 hours in advance. *****Rate is per adult, per night, tax inclusive and based on double adult occupancy for a 3-night stay at the Rosen Inn at Pointe Orlando, Standard Room, Florida Resident Rate. Subject to availability, room type, hotel, and travel dates selected. Rate valid for bookings now – 12/12/18 and valid for travel 4/26/18 - 6/15/18, 8/26/18 - 9/30/18, 11/1/18 - 12/22/18. Reservation must be made 72 hours in advance. Additional hotels, rates and travel dates available. ~Excludes merchandise locations in Universal’s Volcano Bay™, The Wizarding World of Harry Potter™ - Hogsmeade™ and The Wizarding World of Harry Potter™ - Diagon Alley™.